Update: the Meyer Optik Nocturnus 75mm f/0.95 lens for Leica M-mount will not be rangefinder coupled. Already in the 1920s, Meyer brought lenses to market which were the fastest lenses of their time: the Kinoplasmat 75/f1. 5. Later the Primoplan 1.9/58 was to become the fastest standard lens for the famous Exakta camera, which was sold in the USA as "Kine night Exakta". At this time Meyer-Optik Goerlitz was considered as the most prominent manufacturer of available light lenses, so called “giants of light” and in 2016 the company presented the Nocturnus 0.95/50 mm for the first time now available in its third version. 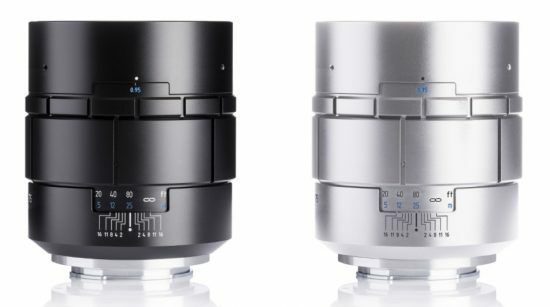 Now Meyer is following the legacy of creating the fastest 75mm lens in the world like it once did with the Kinoplasmat. The Nocturnus 0.95/75 mm lens is a full format lens available for Sony E, Fuji X and Leica M. The company also intends to follow with a 35mm lens later in order to complete its Nocturnus line. Like its “little brother” – the Nocturnus 50 – the Nocturnus 0.95/75 delivers outstanding performance with a fully opened aperture 0.95 for Sony E, Fuji X and Leica M photographers. With its aperture at 0.95 and its 15 steel aperture blades with antireflection coating the Nocturnus 50 delivers an appearance and imaging which cannot be obtained by any other lens. This opens creative opportunities especially in “people photography” under difficult light conditions. World premier! 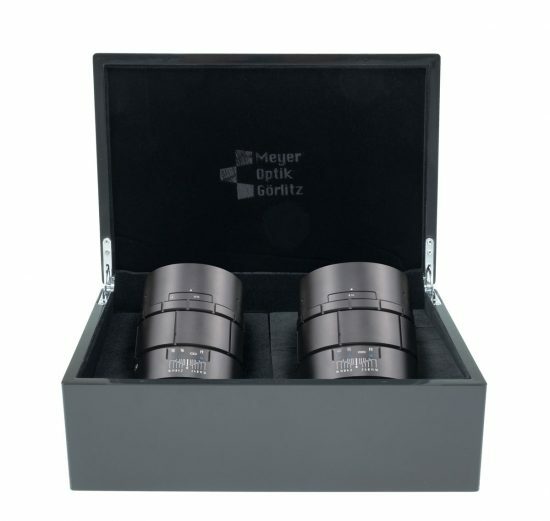 75mm focal length, 15 steel aperture blades along with a maximum aperture of 0.95 is only available in the portfolio of Meyer-Optik Goerlitz. This combination allows photographers who are using Leica M, Sony E or Fuji X to make use of the outstanding creative opportunities by the conscious use of depth of field, sharpness and bokeh. The 15 blades aperture was designed by Dr. Prenzel from Goerlitz and the mechanical components of the aperture are built by Otto Niemann precision mechanics from Berlin. Otto Niemann has been one of the specialists in the production of iris diaphragms since 1945. Of course, the aperture of the Nocturnus 0.95/75 is adjustable to infinty. The mechanical quality is outstanding and as a result the Nocturnus 0.95 / 75mm is a tool, that the photographer can rely on all his life. The Nocturnus 0.95/75 is a handmade masterpiece. Trained expert staff and state of the art technology make each Meyer-Optik Goerlitz lens a masterpiece in itself. Meyer-Optik Goerlitz employs a selected staff who put in all their experience and pride to produce a perfect Meyer-Optik Goerlitz Nocturnus 0.95/75. The company offers guided tours in its production facilities in Hamburg, Germany, to give customers an insight into the high production standards. The combination of 75mm and the unique aperture of f 0.95 creates images of an unmet aesthetic especially when shot wide open, generating a three dimensional appearance where the subject seems to be stepping out of the image. The Bokeh is smooth and under the appropriate condition may contain some sharp edged light circles. Each shot is of unique sharpness, depth of field and Bokeh characteristic. This entry was posted in Meyer Optik Görlitz and tagged Meyer Optik Nocturnus 75mm f/0.95 mirrorless lens. Bookmark the permalink. Trackbacks are closed, but you can post a comment.